Updated Tuesday July 3, 2018 by LMLL. 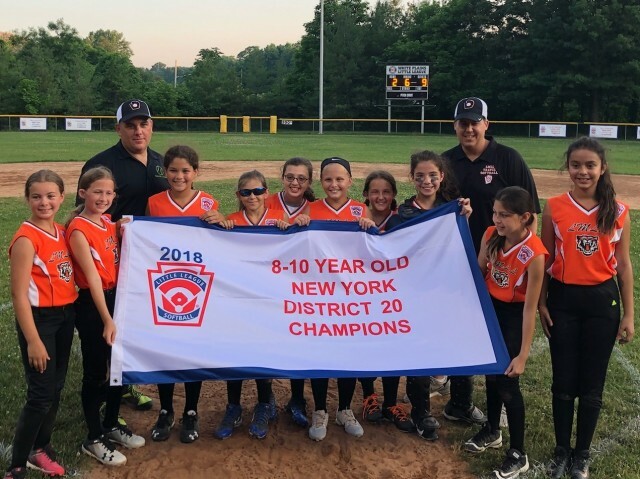 Congratulations to the LMLL 10U Summer Tournament Softball Team, which defeated White Plains, 9-2, on Monday to win the District 20 tournament. It's the LMLL's third D20 tournament title in five years. This new championship banner will join the other two, which are proudly displayed in left field of Raber Field at the Lorenzen Park complex. All members of the 10U roster played Spring Rec this season. The Wildcats will continue their run toward the Little League Softball World Series this Sunday (July 8) at 11:00 a.m. All LMLL softball fans are invited to cheer them on at Gedney Field (85 Gedney Way, White Plains).